What happens when Christmas loses it's joy and excitement? When financial problems seem to be insurmountable at Christmas? 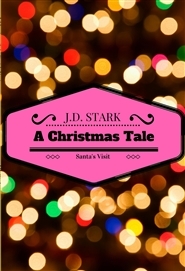 Follow one man's journey as he rediscovers the true joy of Christmas when Santa Claus himself comes to visit. A charming tale of twinkling lights, uninvited guests and the birth of Christ will leave you wishing for a visit from Saint Nick and a renewed desire to put the "Christ" back in Christmas.